The makeshift "Ypsitucky Kitchen" is getting long in the tooth, so yesterday the Arbor Brewing Company Microbrewery (aka Corner Brewery) launched a new crowdfunding campaign on Indiegogo.com to raise between $75,000 and $125,000 to build a real kitchen. Now, before you're all like "yawn, another crowdfunding campaign," you'll want to see what some of the offered rewards are, like lifetime Mug Club memberships, private parties, and a "sour cellar." Makes me wish I had money. 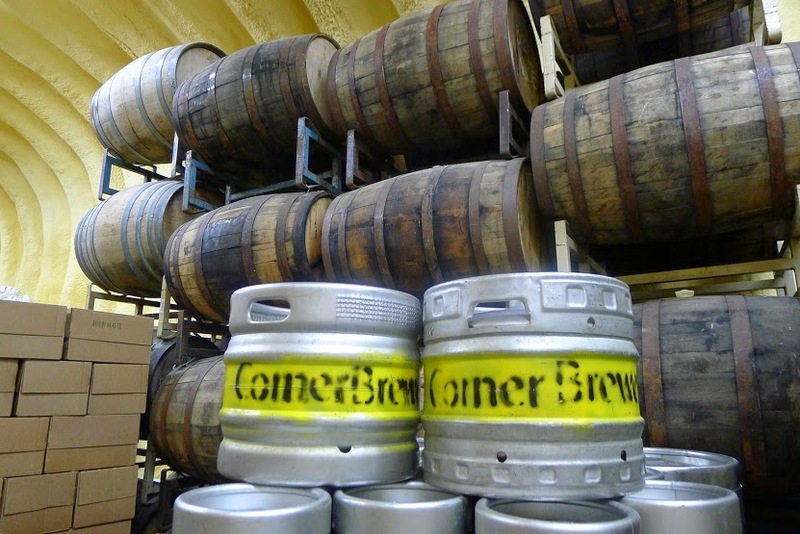 The ABC Microbrewery (also known as the Corner Brewery) opened without the intent of running a full kitchen. As the popularity of the brewery grew, so did the demand for a more diverse and substantial menu. A backyard bbq grill on the deck to cook burgers and brats eventually grew into an outdoor kitchen complete with commercial grills and a pizza oven. Unfortunately the customer demand for grassfed burgers, fresh pizzas and garden sourced ingredients outpaced the tiny kitchen. “Right now we operate in a kitchen that’s about 60 percent inside our building and 40 percent outside our building,” Executive Chef Brian Guerriero explains. “Winter time can be rough here.” But the rough-and-tumble environment for the kitchen staff goes beyond exposure to the elements. Poor ventilation in an already stifling hot environment creates poor working conditions for the staff. Co-owner Rene Greff explains that without the necessary changes, the Microbrewery will be unable to continue to use the outdoor space and will have to dramatically reduce its offerings and lay off half of its eight-person kitchen staff. The campaign includes a dozen different benefit levels for funders from $5 (in exchange for your name and hometown on a brick in the pub) to $5,000 (for lifetime memberships in the mug club, growler club, and french fry club, lifetime tickets to monthly beer tastings at ABC’s Ann Arbor location, and a beer brewed and named in your honor and released at a party for you and your friends. The Microbrewery is hosting a launch party for the campaign from 7 to 8 p.m. on Monday, July 21. Greff and her co-owner and husband, Matt, will be on hand to show their campaign video, talk about all of the campaign perks and answer any questions. Refreshments will be provided. The campaign is live here. For more information, please contact Events Manager Krista Jacob at 734-480-2739 or via email at krista@cornerbrewery.com.